The National Council of Architectural Registration Boards (NCARB) announced three NCARB Award winners last night at the American Collegiate Schools of Architecture (ACSA) administrators conference. I’m thrilled that a proposal I co-wrote with Emily McGlohn, Assistant Professor of Architecture at MSU CAAD, and John Poros, director of the Carl Small Town Center (CSTC), was chosen as an award recipient. Our proposal brings together the community design expertise of the CSTC, Emily McGlohn’s teaching knowledge and Rural Studio background, and my social impact architecture practice in Greenwood, Mississippi. Students will engage in three ways: immersion, discussions, and workshops. Gaining leadership skills, community engagement experience, and a broad perspective on the field of architecture, class participants will expand their understanding of how architects can apply their expertise to the challenges that face our society and our planet today. Read about all three winners here, and then check out this site (preview below) and this book, “Spatial Agency: Other Ways of Doing Architecture” that inspire us. It wasn’t long ago that sustainability was an uncommon term, but the need to use resources efficiently becomes clearer with each year that the global population increases, climate change advances, and we become more connected to each other through technology. Within this context, the concept of what is excess, a bi-product, or otherwise deemed unnecessary is shifting. Recycling, upcycling, and a variety of product streams illustrate this change within society. Within my own work, the idea of discovering value where it was previously unnoticed has become a core value extending into material and building reuse, access to capital, but most importantly partnering with and leveraging the skills of traditionally marginalized communities. Carrying this ideology with me, I was honored to be selected as a participant in a non-governmental diplomacy exchange, the Junior Chamber International of Osaka’s Outstanding Young Persons (TOYP), that took me to Osaka and Tokyo during the first week of September. As a component of this cultural experience, I was interested to see what insights Japanese culture, so well-known for attention to detail and valuing beauty, might provide in regards to not just efficient, but excellent use of resources. The TOYP program provided a wealth of opportunities to expand my network to include Japanese acquaintances (including a family who hosted me in their home and took me to visit Tadao Ando’s Church of Light) and fellow TOYP participants, visit important landmarks (such as the Osaka Castle and the Ikutama Shrine), and experience Japanese culture (through a formal tea ceremony, outstanding culinary experiences, and the art at the Kamigata Ukiyoe Museum). Perhaps most impressive, the JCI Osaka organized an audience for TOYP participants with Their Imperial Highnesses Crown Prince Naruhito and Crown Princess Masako, with whom we spoke about our projects and our motivations. Through each of these experiences Japanese culture and architecture exceeded my expectations; beauty and efficiency were visible throughout. and builder, the focus was on how women can be more included in the work force. 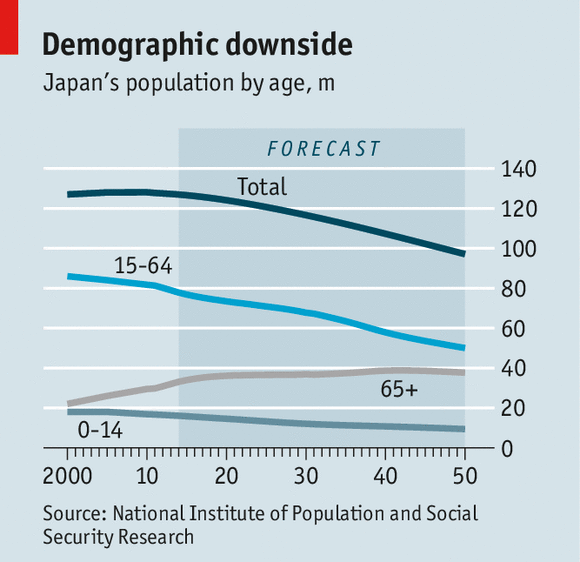 This issue is particularly pressing in Japan where parallel statistics: the declining national population and the low participation rate of females in the labor force, are threatening future economic growth for the country. Within this context, the potential contributions of women in the business and economic sphere can no longer be overlooked in Japan. This resource has shifted from unnecessary to valuable. As JCI Osaka makes strides toward accessing the resources of female employees and entrepreneurs, this is only one example of a shift in attitudes toward uncovering, rather than overlooking, valuable assets. Globally, it will take a broader and faster moving application of this type of thinking to have an impact on the wicked challenges that face us today if we hope to achieve goals of equitable and sustainable practices in our cultural, economic and physical environments. With increasing frequency, design decisions are being paired with metrics to demonstrate outcomes. Many times this isn’t a straight forward process. Even things that we know are facts, like people typically work more efficiently when their offices incorporate natural light, are difficult to prove. Thankfully, building sciences and energy efficiency are an avenue to identify direct links between design decisions, energy efficiency, and ultimately the cost burdens associated with a home. In 2014, the Greenwood-Leflore-Carroll Economic Development Foundation was awarded a grant from Enterprise Community Partners Gulf Coast office to study energy efficiency in a variety of low-income housing types in Greenwood. Partnering with Emily McGlohn, a professor at Mississippi State University’s College of Art, Architecture and Design, this study is underway. Read more about it in this MSU School of Architecture blog post. We’re looking forward to hosting Emily M’s “audit squad” in Greenwood this summer. 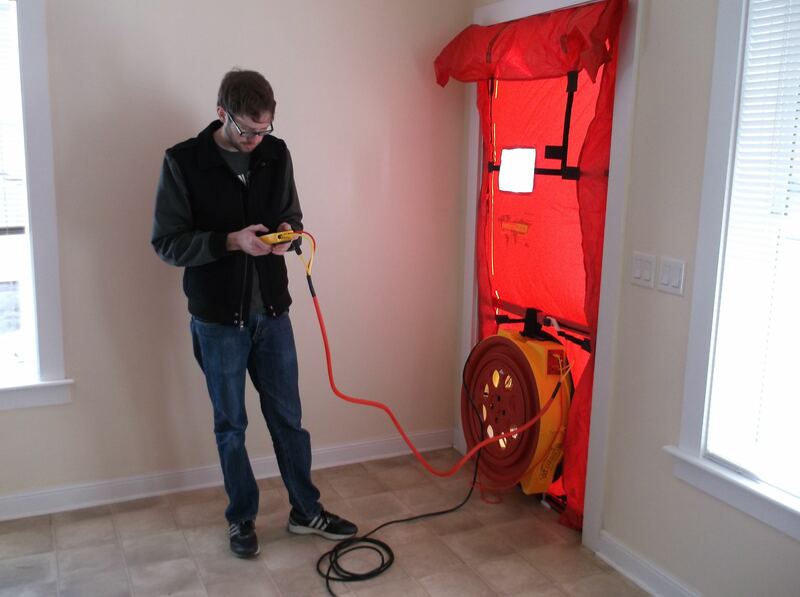 An MSU student tests air infiltration rates in one of the Baptist Town Cottages in November 2014. Above: MSU CAAD students complete their DESIGN|BUILD: DELTA “final exam”. While attending the Design for Equity Bruner Loeb Forum in November I met Miriam Gee, a co-worker of Enterprise Rose Fellow Geoffrey Barton. Miriam is an architect, builder, and instructor. Miriam has extensive experience with some of the leading design build programs in the United States including the Asheville Design Center, and Yestermorrow Design/Build School. She describes her career as “inspired by students, yet grounded in real-world design challenges.” Connecting academia with project delivery is challenging and raises questions regarding how students can responsibly gain experience, how to manage client expectations, and how to prioritize the goals of such a project. Check out Build Lightly Studio to see some of Miriam’s completed projects. In the 3-hour elective course DESIGN|BUILD: DELTA I led this fall at Mississippi State University, the students did not finish construction of our project, but we did meet our goals. As stated above, linking a learning experience to carrying out and completing construction is not a straight-forward process. To succeed doesn’t necessarily mean to build something substantial or even complete. I think success in this type of project first means defining clear expectations with the client. If the students expect to complete a cost estimate and a build a foundation, but the client is expecting a completed building, everyone will be disappointed. Second, though design build classes have great potential for responding to community needs and being a source of cheap labor, education must remain a priority. Instructors must offer structured guidance, and not rely wholly on the students to be intentional about learning throughout the project experience. Finally, someone on the team must have the skills to lead the project. Carpentry, masonry, and other skills are trades, and it is irresponsible to expect untrained individuals to be able to master or even manage these skills in a short period of time. In DESIGN|BUILD: DELTA, the first half of the semester the goal was to design and oversee construction of a new, code compliant entry area for the Baptist Town Community Center. In the second half of the semester, students paired individual goals (learning to weld, calling material suppliers on the phone, using a drill, and creating material and cost schedules) with the goal of designing and partially building a railing system that is functional but also sets an inspirational tone at the new community center. The Carl Small Town Center has been selected as one of four applicants awarded a technical assistance workshop by the Citizens Institute on Rural Design. Congratulations to John Poros and Leah Kemp for all their hard work! Less than a year after the opening of the 46 mile long Tanglefoot Trail, we are excited for CIRD to come to Houston, MS, and maybe visit nearby New Houlka as well, where we are wrapping up our Spring CREATE class project. The full announcement, including descriptions of all four of the selected applicants, is available on CIRD’s website. Over thirty people attended a meeting at the new Baptist Town Community Center on Monday night, by far the most that have participated in this type of meeting since I began working in Baptist Town last year. Even better, a lot was accomplished at the meeting with the selection of an advisory board for the center, collecting ideas and volunteer commitments from residents, and celebrating a fresh coat of paint on the building’s exterior with games and snacks. It felt like an important moment in the course of this neighborhood revitalization effort. Often when “community engagement” is discussed, the concept is sugar-coated. It is described as meetings where information flows freely and individuals rally around a common cause. The reality of this type of engagement is often far from such a utopia. Issues are rarely cut and dry, and it is difficult to develop a clear understanding of community member’s needs and hopes. Further, many engagement activities fail to attract more than a few participants. When community members do arrive, factions sometimes develop or certain individuals are antagonistic to the point of inhibiting discussion. I have experienced this many times in a variety of locations, so what made last nights meeting different? Trust. When I arrived in Baptist Town much had been promised and resources were aligned to deliver on these promises, but there was no one in place to oversee actual implementation. We were able to complete infrastructure, park, and signage projects in 2013, and this went a long way toward building trust within the neighborhood, but it’s been months since these projects were completed. Last week, a group of painters from Resurrection Catholic Church in Wayne, Ill. teamed up with Sherwin Williams to repaint the building we had newly purchased for the community center. From a faded and scratched blue to a brilliant red (selected by community members through a voting process), the building has new life. I think that the trust we build by making good on promises is the primary factor in garnering both the participation and the communal spirit of meetings like the one we held last night. This is encouraging as we prepare to break ground for five of the Cottages (at last), but also a reminder that for the communities we engage with as social impact designers, regular, visible signs of our work are necessary, no matter how small or what form they take. Otherwise it’s perceived as just a lot of talk. 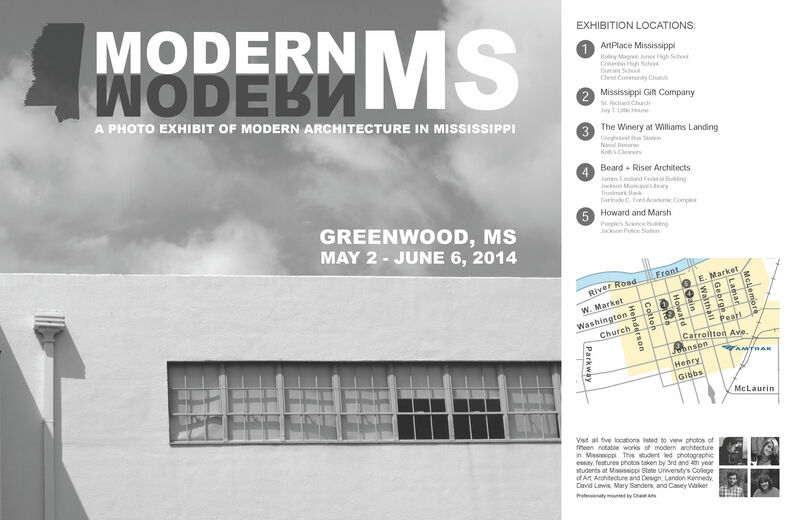 Earlier this year four architecture students at Mississippi State University’s College of Art, Architecture and Design compiled photos of modern architecture in Mississippi. Our state is better known for antebellum homes than the clean lines of the mid-century modernists, but this exhibit shows that Mississippi has beautiful examples from this time period as well. Fifteen buildings are displayed through thirty 18″x24″ black and white images, as well as hundreds of 4″x6″ snapshots of building details. 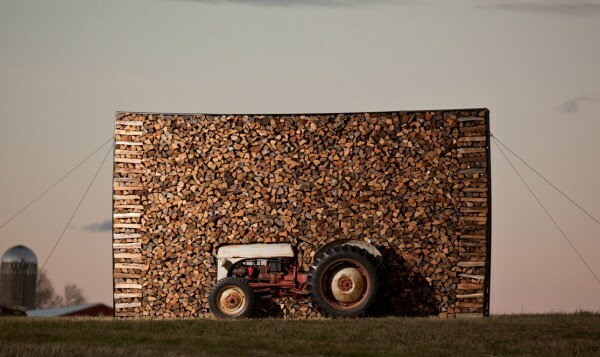 We are excited to currently be hosting these images throughout downtown Greenwood. The exhibit opened last weekend with the help of Mainstreet Greenwood during the annual Que on the Yazoo bar-b-que festival. Images are free to visit and can be found at ArtPlace Mississippi, Mississippi Gift Company, The Winery at William’s Landing, Beard + Riser Architects, and Howard and Marsh Exchange.